Watercolour painting; signed and dated. 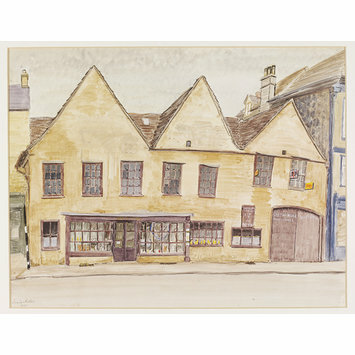 View of a shop front with three gables. Signs for BP and Shell hang above double doors advertising smith’s work. 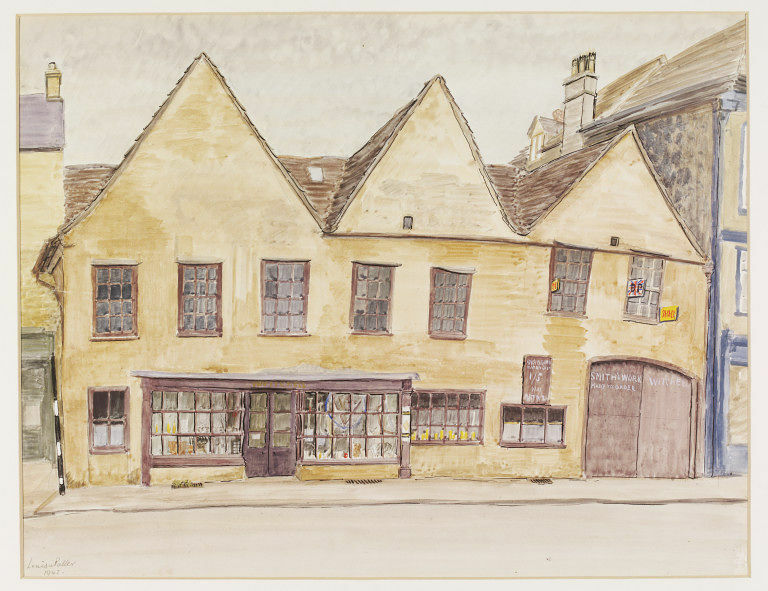 Watercolour by Louisa Puller, 'Ironmonger's Shop, Tetbury', from the Recording Britain Collection (Gloucestershire); England, 1942. Palmer, Arnold, ed. Recording Britain. London: Oxford University Press, 1946-49. Vol. 3: Lancashire and Westmoreland, Derbyshire, Cheshire and Shropshire, Staffordshire, Welsh counties, Worcestershire, Herefordshire, Oxfordshire, Gloucestershire. p.201.